Our club is comprised of a number of people who have been Rotarians in the past and came back in 2012 to join us. Some have been Rotarians for 20 years or more, mixed with a group of new people who had never been part of the spirit and feeling of Rotary. The motto of Rotary is “Service Above Self,” and what we have built is a Club to benefit our Boca Raton Community. We know that with your help, we will continue to accomplish many wonderful things. Our club has been one of the most successful startup clubs in Rotary history, where every Member’s opinion is heard and every Member’s contribution is valued. We operate in a collaborative atmosphere of full disclosure, complete transparency and fellowship. Our main mission is Health and Wellness. We support the Charles E. Schmidt College of Medicine at Florida Atlantic University. There will soon be a shortage of doctors in our Boca Raton Community. If we can embrace one or two doctors and help them through their Medical School careers and encourage them to stay in Boca Raton, imagine how many lives we can touch by adding these invaluable professionals to our Community. We are also involved in other scholarships for deserving young adults at all of the Boca Raton universities: Charles E. Schmidt College of Medicine at FAU, Christine E. Lynn College of Nursing at FAU, Lynn University and Palm Beach State College, which I’m sure we will all agree, is a very important undertaking. Our club is comprised of a great group of people with an unbelievable amount of talent, vitality and dedication. Club members efforts help to make this a very successful, outstanding Club. As Boca Raton is in our name and our beloved home, we are focused on keeping our talent on the local level in order to benefit our Community through Health and Wellness, and Community well-being. We distinguish ourselves through our unique programming, full disclosure, and our governing policy that our organization is run by our Members for the Members and is Fair To All Concerned. Decisions are made in a collaborative effort through input from our Members, as each Member’s opinions and contributions are valued. 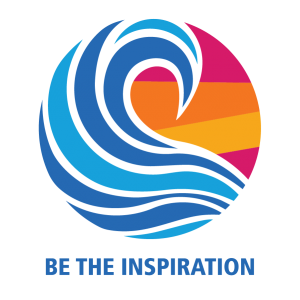 The Rotary Club Downtown Boca Raton is run for the sole purpose of making a difference in our Community and the lives of many in an environment that embraces integrity, friendship, camaraderie and trust. Our goal is to keep our outstanding Community growing strong. © 2018 Rotary Club of Downtown Boca Raton | all rights reserved | Powered by DACdb.